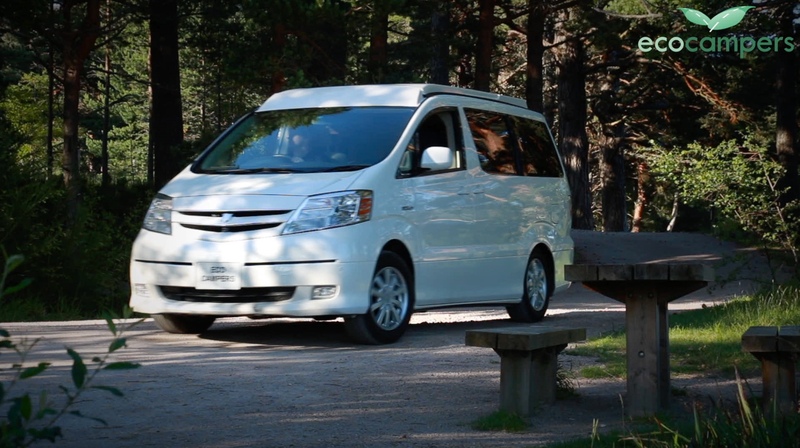 If you are OK with using a pre-used base vehicle and decent ones at that, from the salt free roads of Japan, then Eco-Campers of Grangemouth can not only sell you a HYBRID campervan but also a TRYBRID campervan. 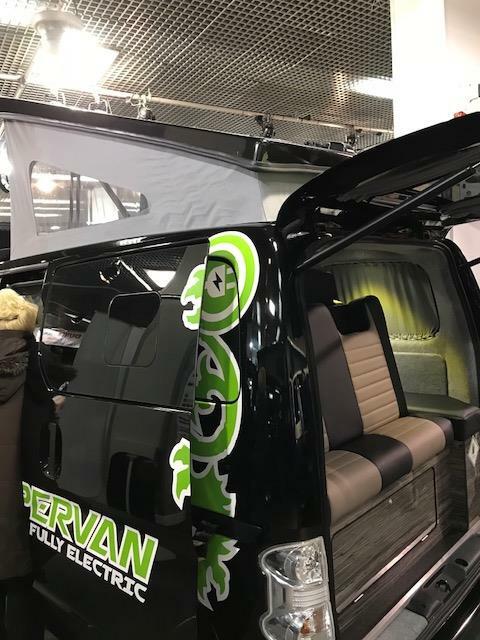 Martin again sent in news of these interesting advanced campervans. Thank you ! Prices commence at around £18,000 but for an option packed version like the one I selected in their on -line specification form you can get up to £42,000 or more. But for that money, you can get an automatic transmission, 4 WD for those out of the way, all year round locations, 4 berths, blown air heating, LED lighting and lots more. Last but by no means least you will have a powerful 158bhp petrol engine, an LPG autogas conversion and an Electrically driven motor. They claim an equivalent to 80 mpg but with the prices that I know you CAN buy LPG for if you shop around then I think that you could maybe improve on that. My wife and I are particularly interested in this Trybrid option. 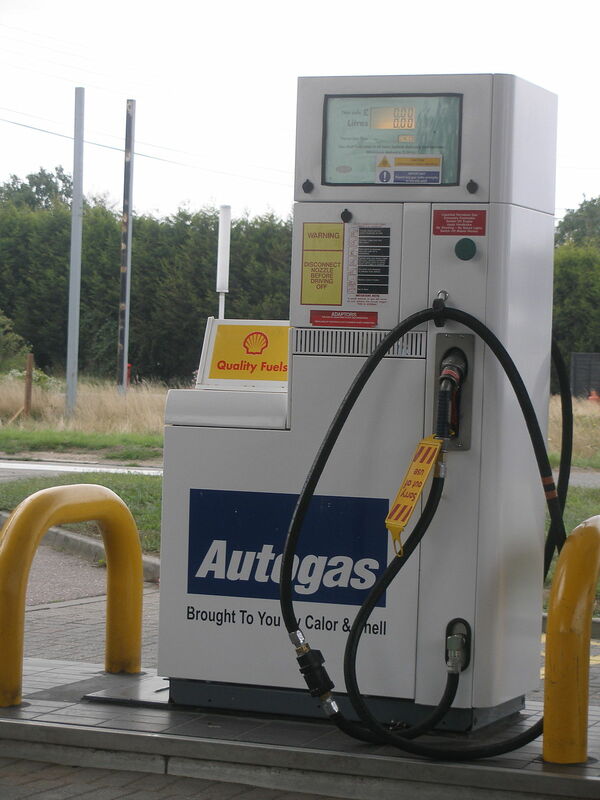 We are experienced LPG autogas users and I would not hesitate to purchase that option once more. (How does as low as 52 p/ltr sound?) An extra two berths for our fast growing grandchildren would come in handy as would 24 hour access to the toilet option. (you do forfeit a swivel driver’s cab seat but you still can sit on the cushion on top of the porta potti cupboard. Speaking personally, we could sell our Nevada NV200 privately along with the little caravan and with a little added cash we are on the way to making a purchase. Still investigating at this stage but it could be a real possibility for us. 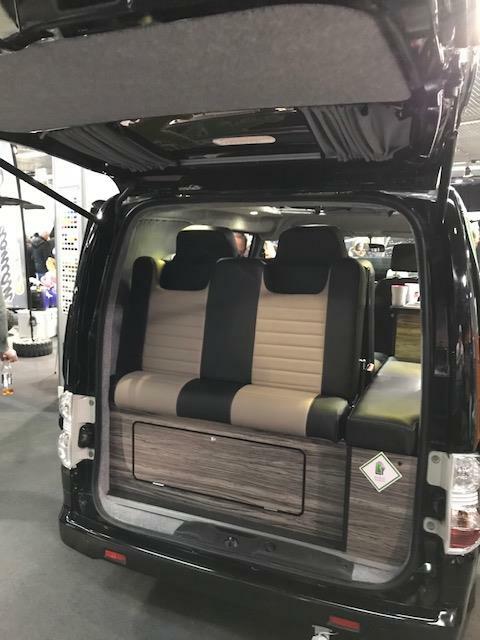 You get to pick your desired age and mileage of the Toyota Alphard , high spec base vehicle then add in your options and stump up for your dream campervan.We have viewed Aphards before and the ones we saw were luxurious bits of kit, quite high end ! 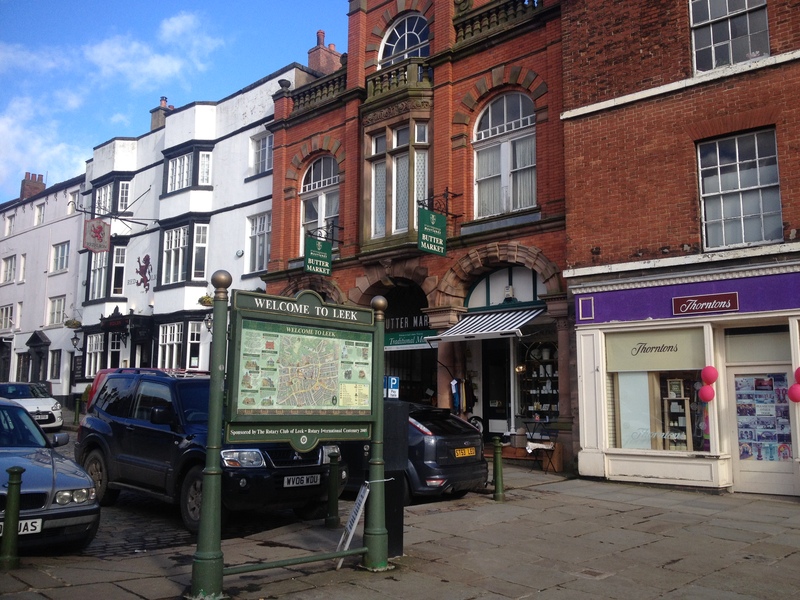 A trip to Leek. 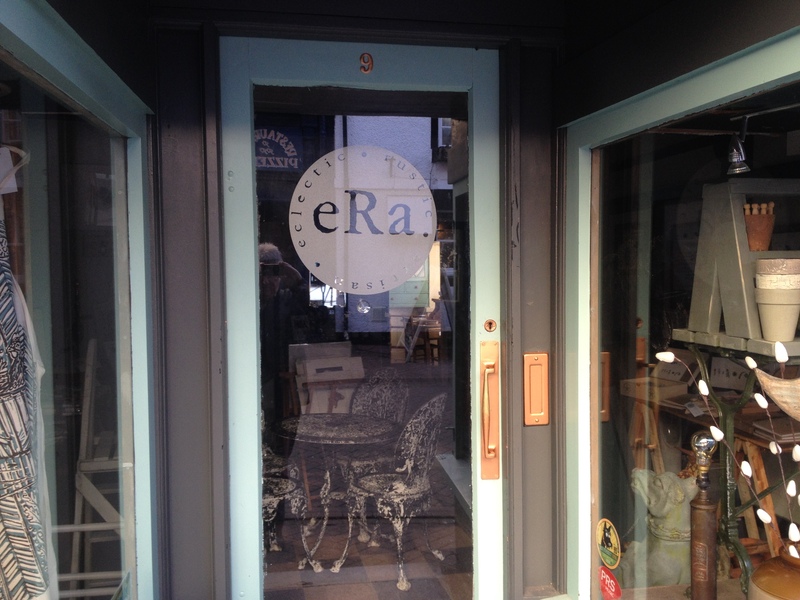 A review of a super little Shop called ERA. 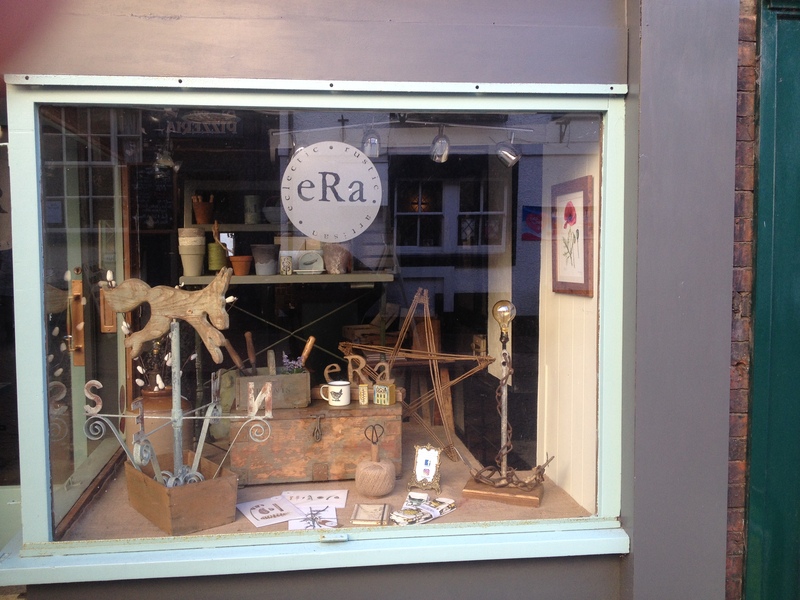 We travelled out to Leek, a hilly old mill town to the East of Stoke-on-Trent for a lunch break and a look around one of our favourite little Antiques and curio shops. Regular visitors to the Blog will know of our obsession for interesting items made from tactile materials. Wood, stone, metal and so on. Whatever catches our eye and fits into place in our old cottage. 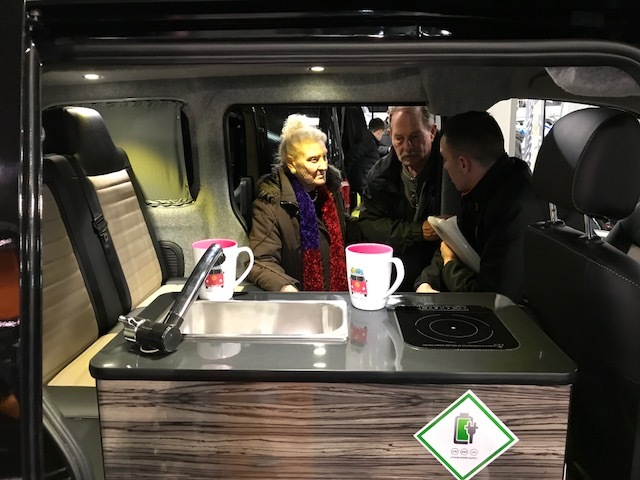 We actually travel far and wide in our campervan to quality shops such as Liz’s. From Ludlow in the southern end of Shropshire to Carlisle in the North beyond the Lakes. East to West , we have seen both coasts. So when we say favourite, it’s quite a statement. Liz picks out her stock carefully. We trust her choice and you are sure to find something of interest. Liz prices things sensibly, to sell too, refurbishing many items herself. 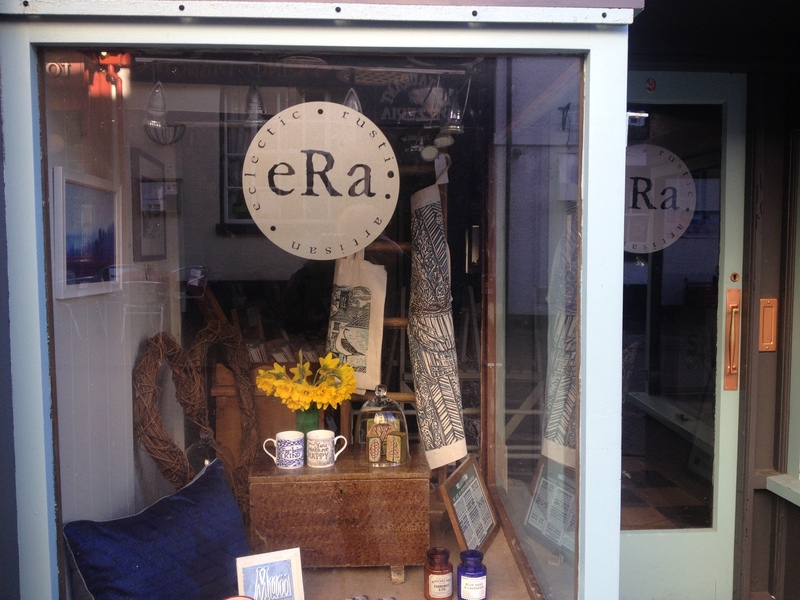 Pop in for a warm welcome from Liz and say that Dinkum sent you. 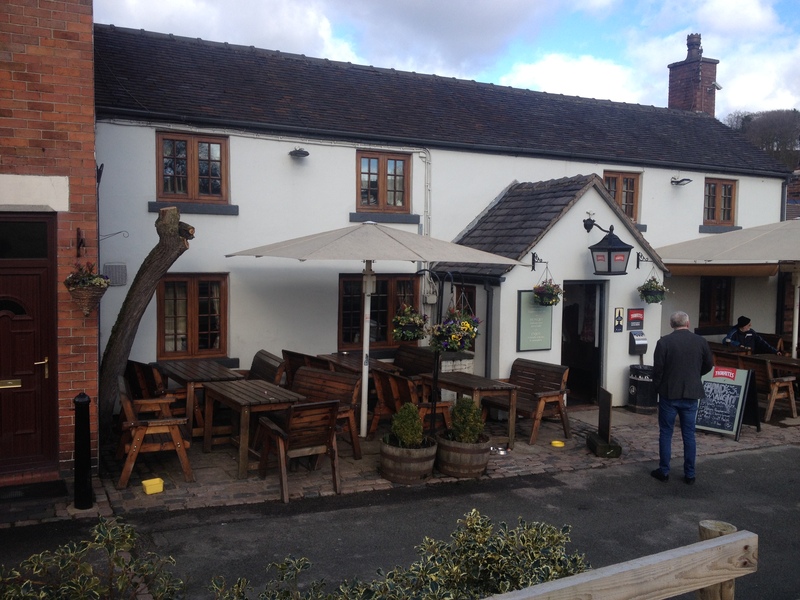 We had lunch at the popular Hollybush in nearby Cheddleton. Home crafted food in large portions. 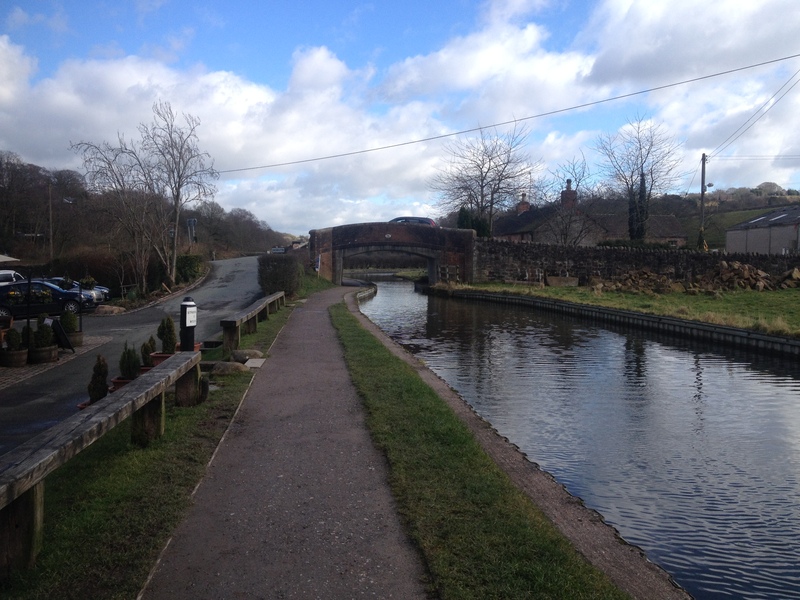 Alongside the canal for rambling or cycling. Want more ? Try Tittesworth Reservoir out towards The Roaches and Buxton beyond. What better way to enjoy your campervan? Jim Mason Photography. Pics from the Scottish Show. Old mate , Martin couldn’t make it to the recent Scottish show. Unperturbed he arranged for Jim Mason to forward these photos, which came in live from the show! I do not have any detail from Caledonian campers as yet. I think the show van was completed at the last moment and things must have been very busy. For example, not sure if this van has the quick charger setup fitted or how the invertors are powered. Does it have a leisure battery fitted and does it charge in motion? Pretty sure that it is priced at a VERY competitive £27,000 or so. From personal choice, I am not too keen on the veneer chosen for the furniture but that is easily put right if you order yours ! Otherwise , it all looks very familiar to me. I am really excited to get more info for me to post on here. Watch this space ! Scroll down to see a little bit more on posts below. 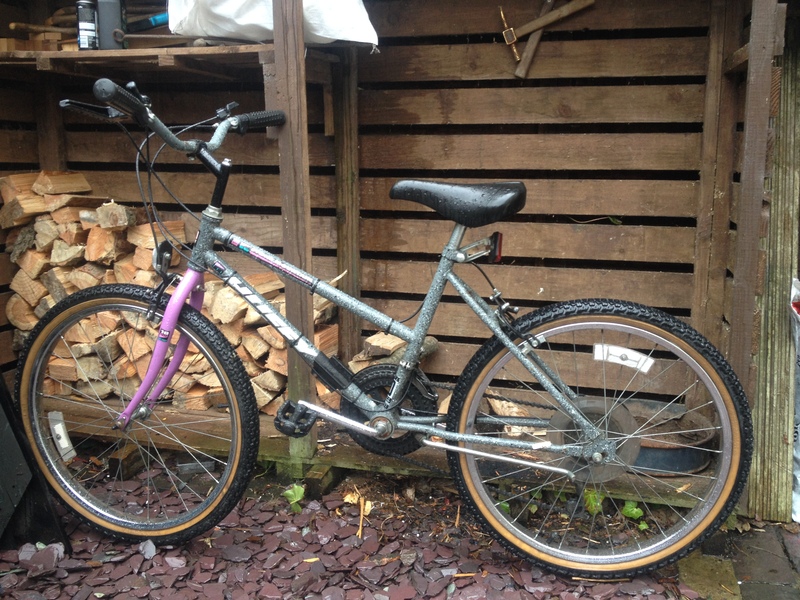 On our recent trip to Center Parcs, we realised that my wife’s vintage bike needed some work to make it 100% so I collected it from a service and cable change today. It’s been all over France in the past and being American, it’s a fairly rare , heavy and well made but Swynnertons had the cables, inners and outers and seem to have done a good job setting up the twin gear changers too. Here’s mine. Both bikes are about 28 years old. Wife’s from Toys R Us, mine from Carrefour in Angers, near Lac de Maine. Both have been great value for money. Hoping to wear them out with use this year ! STOP PRESS ! 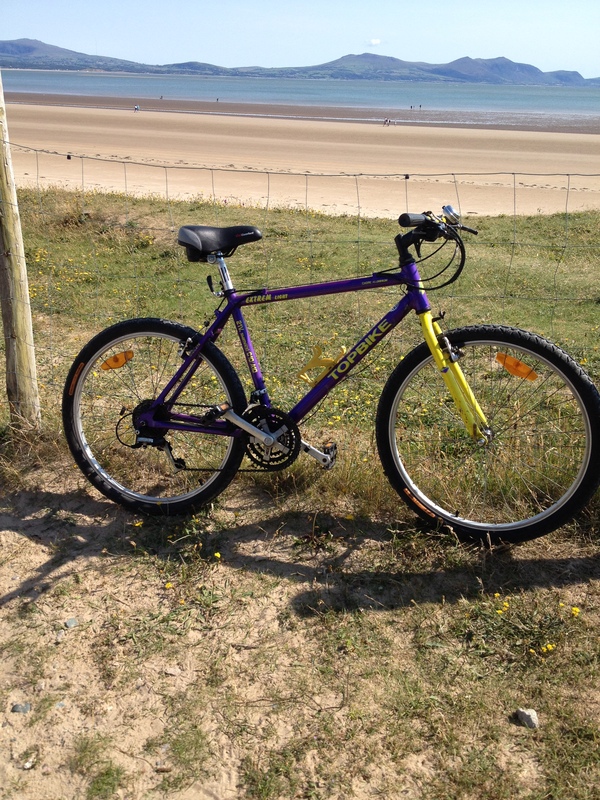 Just found some photos from way back with my wife’s bike shown. It shows our former coachbuilt Talbot Excalibur, custom 4 bike rack and our Suzuki tow car trailing behind. Watch out for this nostalgic post ! It’s here. Caledonian all electric campervan. 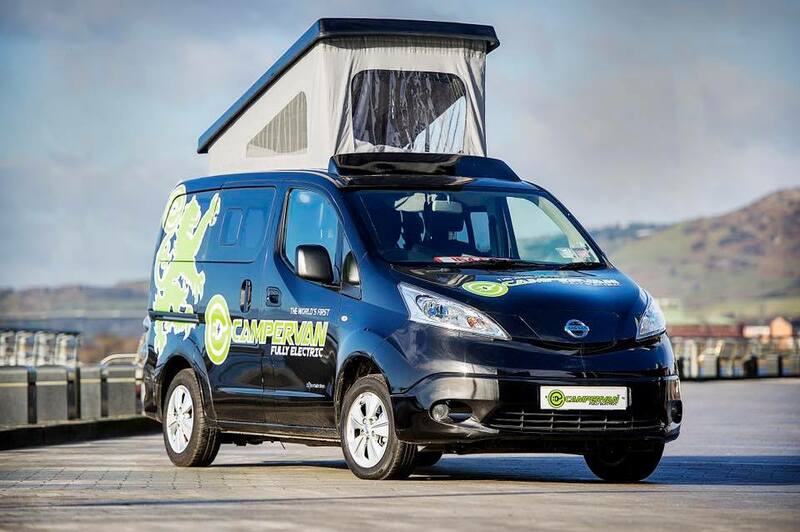 Top two pics show the all new , all electric, Nissan campervan from Caledonian. It should be at the Scottish Show right now. 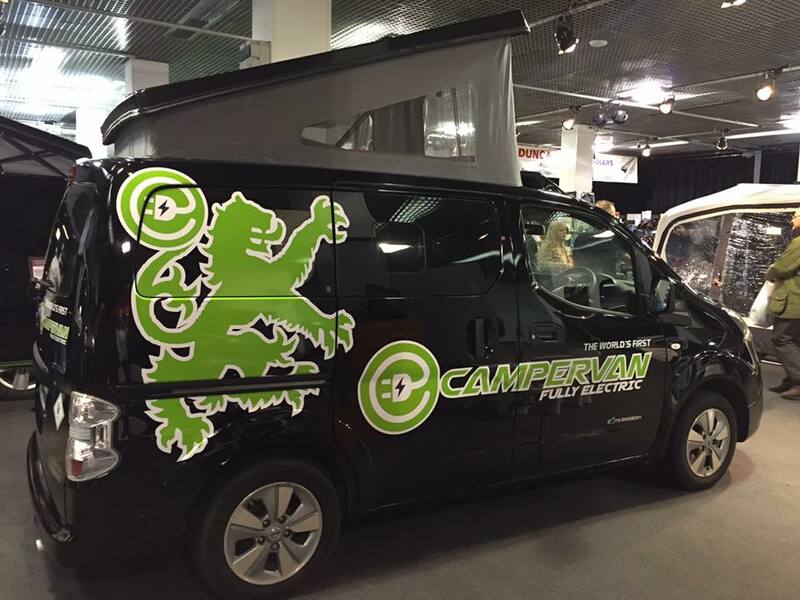 I shall be posting much more about this trail blazing campervan as soon as the info is released. 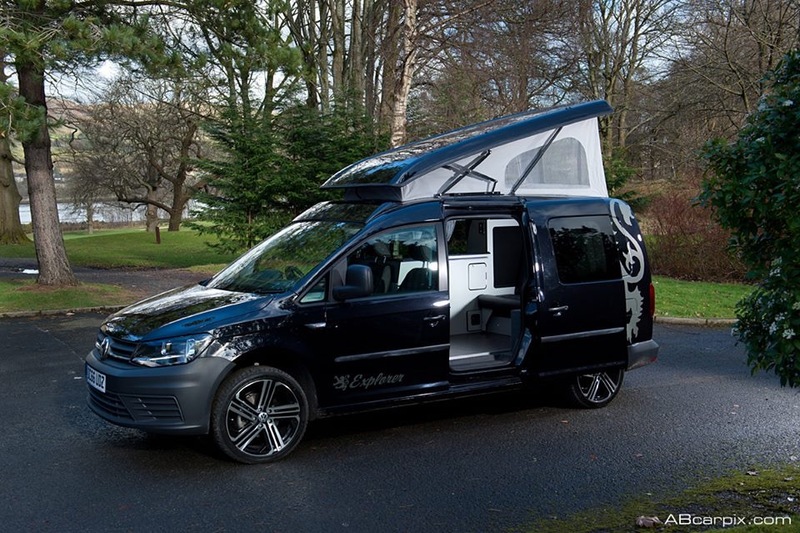 The third pic is one of my favourite campervans currently, Caledonian’s Caddy . Scroll down to see my post on this. Like a really decent Scotch Whisky, there is no mistaking the flavour of it’s design, textiles and graphics. Scottish through and through and all the better for it ! It’s a pity that the super little Hillman Imp came to a sad, political end. Who knows, we could have been looking at a Scottish made base vehicle too ! Now, how good would that have been ? Aluminium engined, rear slung, VW fashion. Chunky, chiselled , squared off good looks. Vertical sides and flat floor. Ideal for a campervan conversion. Dreaming? No. Visionary, I think so ! Perhaps something like this AMC 1977 concept? Regular viewers will know that I love some of the Campers produced by Caledonian , Clydebank, Glasgow. 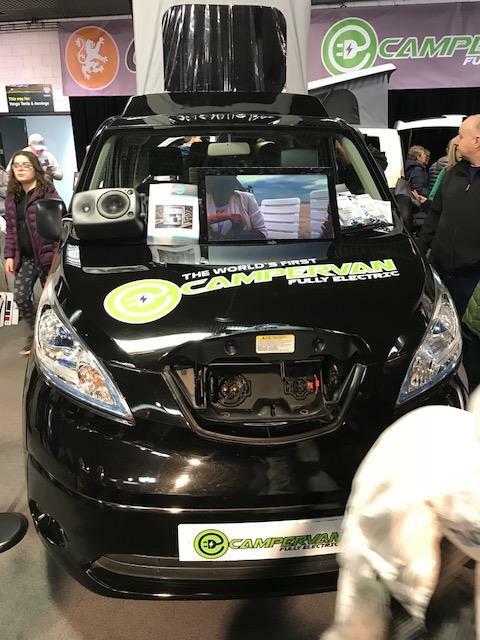 Well at today’s opening of the Scottish show at the Scottish Exhibition Centre they are revealing their ALL ELECTRIC campervan based on the Nissan e-NV200. Now, in June 2016, I wrote about Hillside Leisure’s , “World First” version of this base vehicle but it does not seem to be listed today on their website. 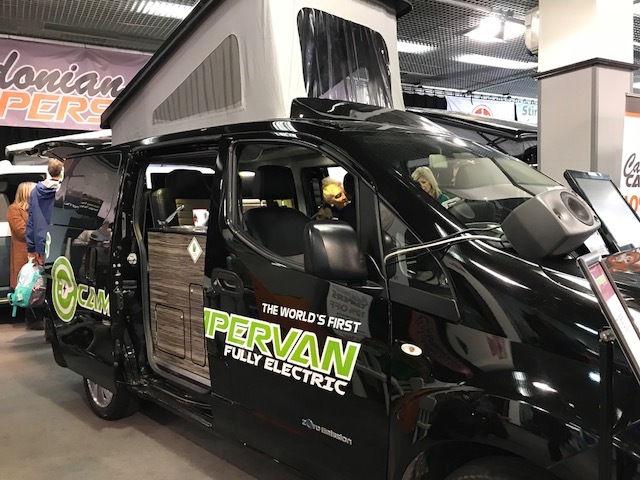 The Caledonian version is also claimed as a World First, “Commercially Available” electric campervan. Caledonian’s IS all electric , using inverters and needing no LPG. It has got to be worth a very close look indeed. I believe that a range of up to 200 miles is possble but have not seen that claim made. I hope that is not just a publicity seeking “concept” one-off. The NV200 itself as a base vehicle taps into a niche market. The electric vehicle currently (no pun intended !) 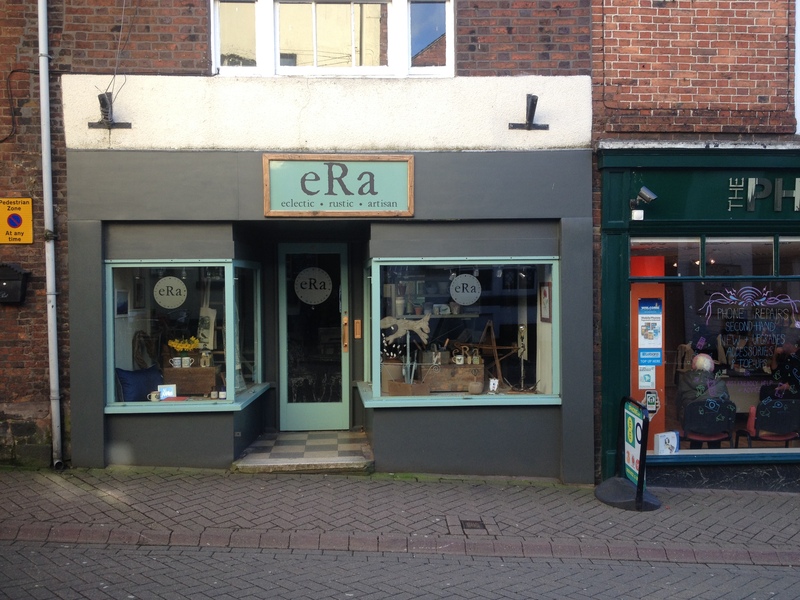 addresses an even narrower niche. Martin again originally informed me of this new release having seen a pre-show press bulletin in Scotland. Cheers matey ! 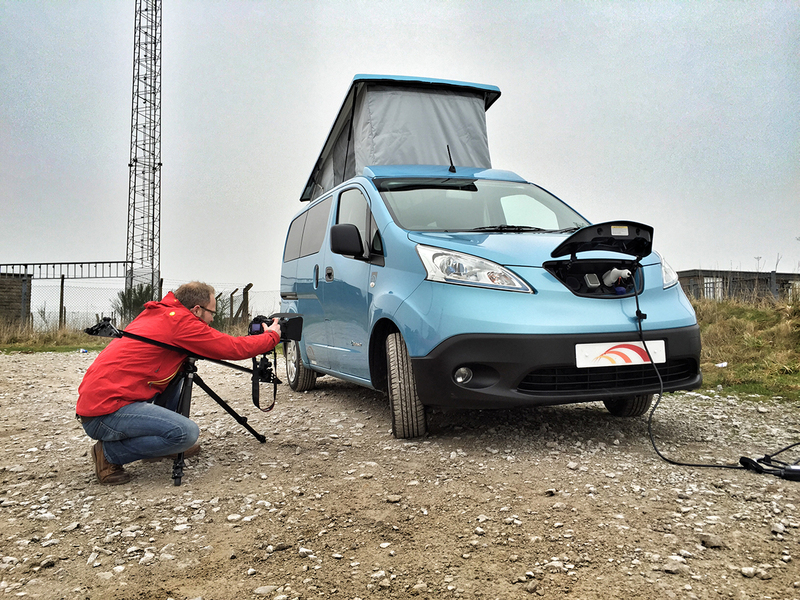 If you are not in a massive rush to cover several hundred miles and already know the benefits of a car sized campervan, this all electric innovation may be for you. Using it as we do, a frequently used, day camper with a few nights camping periodically, with just one vehicle, I could see us actually buying one. What a novel , chat inspiring vehicle to pitch up on a campsite ! Cannot wait to see the reaction at the Scottsh show which runs to the weekend. Doubt that we could tow our Elddis 302 with it though. 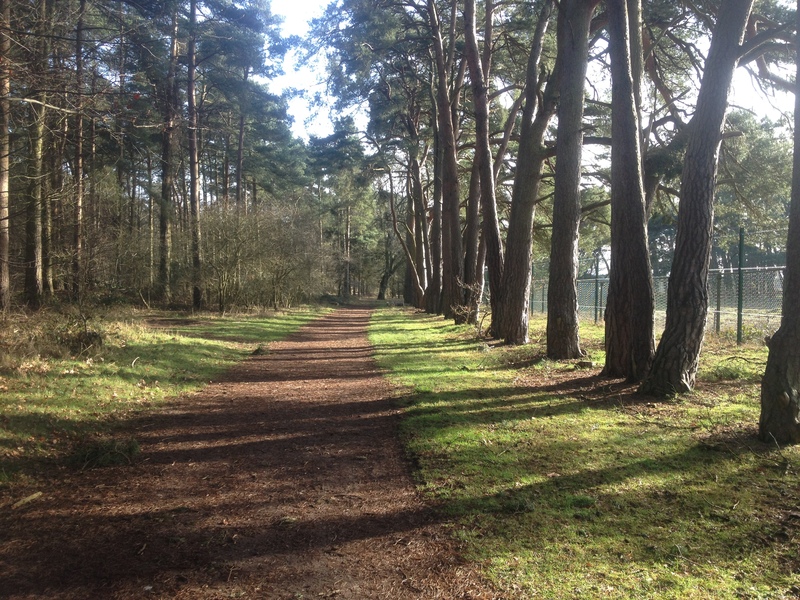 29 deg C in England, in January ? You guessed it ! 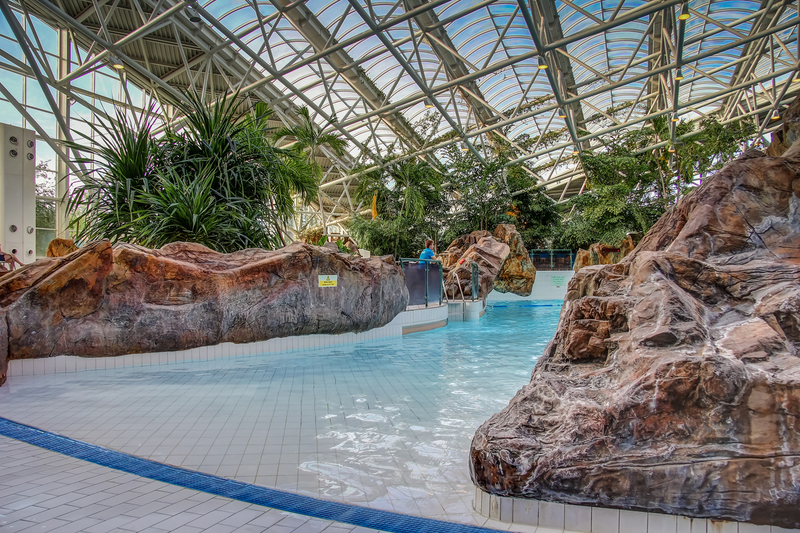 Center Parcs indoor , Sub Tropical Swim World, at Elveden Forest near Thetford. Just back from a week there to celebrate a 3 year’s old birthday and to see how big a 4 month old can possibly be with half his genetics from a fairly short to average height family. Gulp ! Our grandson will probably be the biggest lad , ever, in our family ! I know it’s cheating not to use the campervan but it came in so useful transporting lots of boxes of food (which came home again due to eating out) , our bikes, helmets and equipment for all winter weather. We did run in the new tyres on the drive down in very heavy rain. But the weather dried up and we had a lovely time, walking, cycling and swimming or just pottering about in that 29 deg heat ! Loads to do for those with children especially It is a little expensive, so get your wallet lubricated ! We hired another bike with trailer which came in very useful for bringing a wornout 3 year old back to the cabin. Oh ! That cabin ! 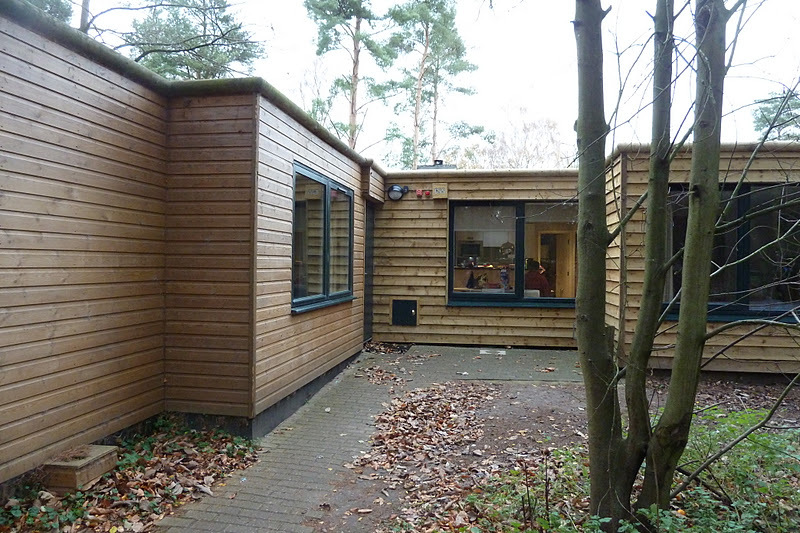 Three ensuite double bedrooms, a sauna, a jacuzzi, outdoor shower and BBQ. Two TVs and a whole lot more. Could not fault it ! 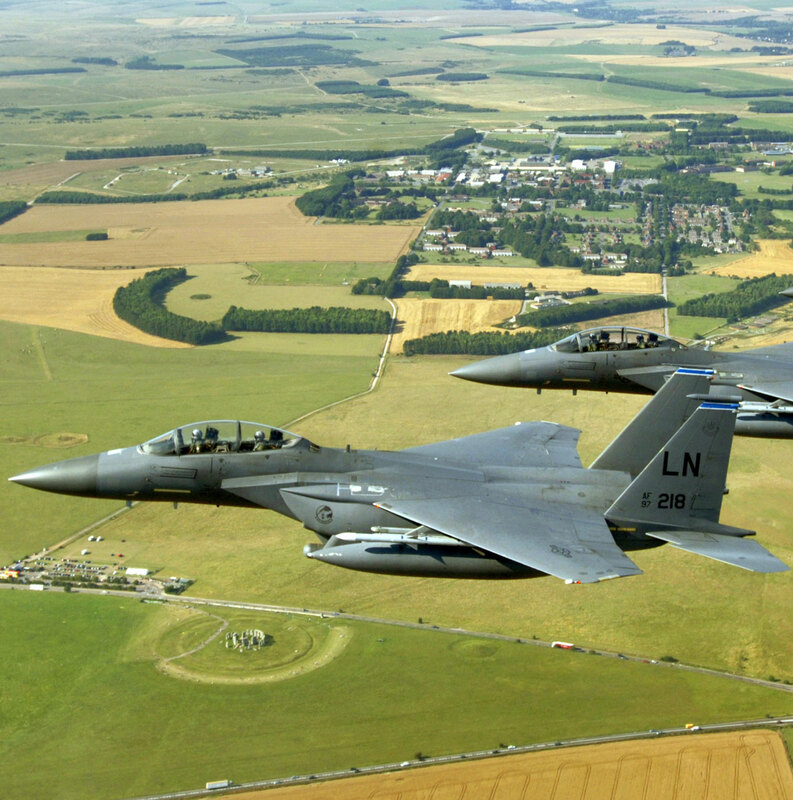 Nobody mentioned RAF Lakenheath which is a short distance from the huge Parc. The jets were very noisy and intrusive but we did all get used to it and I even enjoyed it ! Despite a bit of queuing to get into and off the Parc , it is very well organised and personal service is second to none. Food was excellent whilst we were there, especially Cafe Rouge and the Chinese banquet which we had delivered. Would we recommend it ? Yes definitely. If we could guarentee the warmth of that swim world when campervanning then, no contest, campervan every time. But January in England. 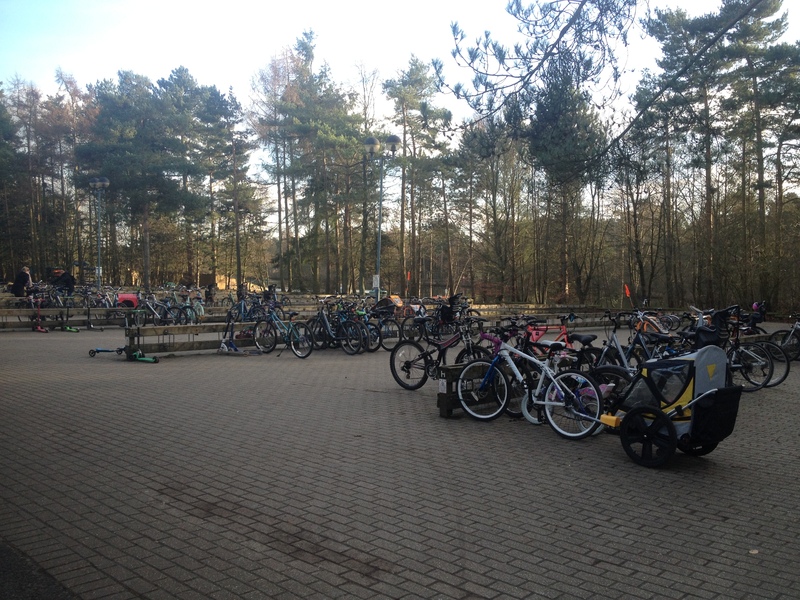 A week at Center Parcs with loved ones takes some beating.